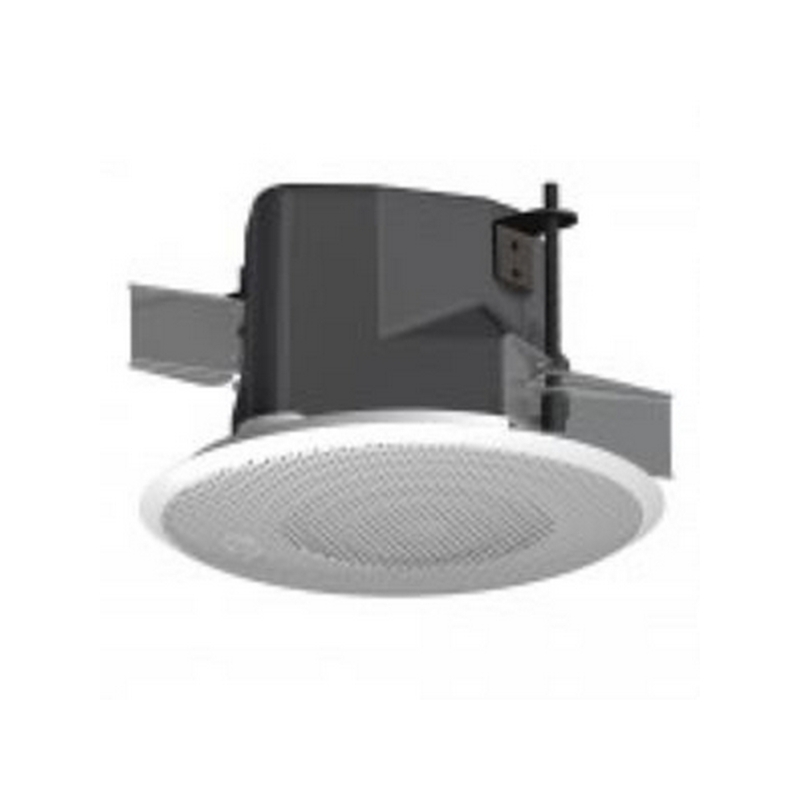 JBL C24CTMICROPLUS Medium Output Ceiling Speaker Assembly. Complete Assembly Includes Backcan, Grille and Tile Rails. Very Wide 150° Coverage. Shallow 100 mm (4 in) Depth. 70V/100V Input Transformers with Taps at 25W and 12W (Plus 6W at 70V Only). Priced as Each, Packed as Pairs. 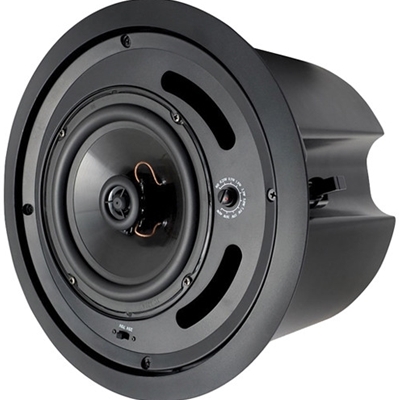 One 3 inch (76.2 mm) full-range high-extrusion, high-fidelity polypropylene driver with butyl rubber surround. 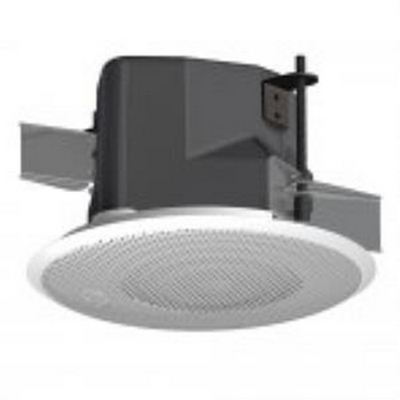 Weatherized components for indoor/outdoor applications. 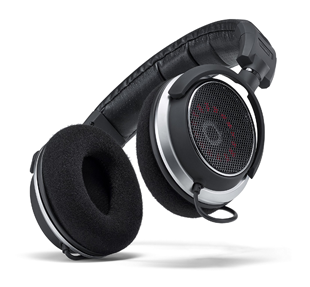 Shallow 3.5 inch (88.9 mm) deep all-steel backcan with integrated driver and baffle configuration. Ultra-compact design with a total visible footprint of less than 6.3 inch (160.6 mm)diameter. Rapid installation, blind-mount, fixed-wing mounting mechanism with constant tension design affixing to wall thicknesses ranging from 0.1 in. (2.5 mm) to 1.5 in. (38.1 mm). 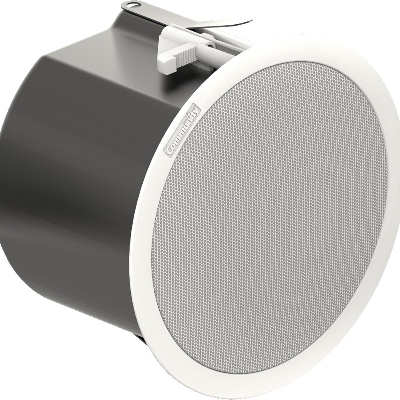 Corrosion-resistant, powder-coated aluminum grille with snap fit attachment. 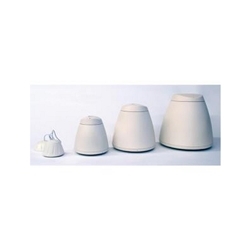 Ceramic input terminal accepts up to 10 gauge plenum rated signal wire and includes thermal fuse. 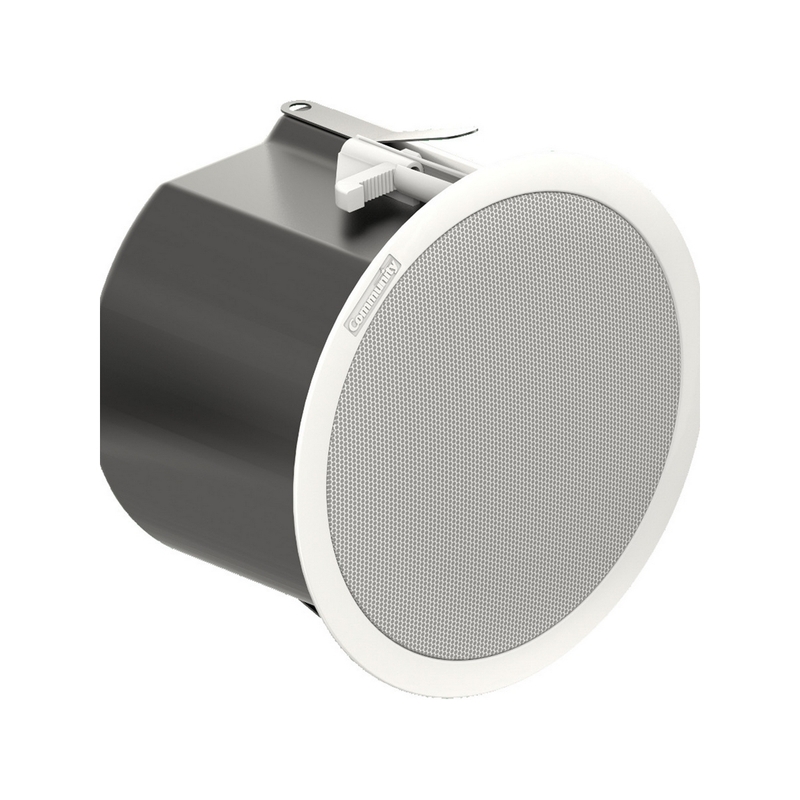 Suitable for use in voice alarm applications subject to EU regulations EN60849 and BS5839-8. UL 1480 (UEAY) and 2043 approved. Included accessories: Tile bridge.